David Jaggs attended the Guildhall School of Music and Drama in London under the direction of Antonio Albanes. 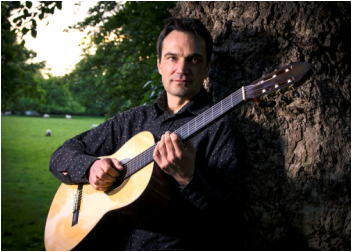 After graduating with distinction, David was privileged to become a private student of one of the world's leading classical guitarists, Manuel Barrueco in New Jersey, USA. David has played in masterclasses given by Hector Quine, David Russell, Benjamin Verdery, Robert Brightmore and Ignacio Rodes. He has won several prizes and scholarships including the Peter Latham Leaving Scholarship and the Marjorie and Dorothy Whyte Award. David has appeared on numerous television and radio programmes. His career has taken him to many major venues up and down the country both as a soloist and in ensemble work. David feels equally at home in the world of easy listening music and has produced nine albums in this genre. Recently David has produced a number of films to entertain and teach classical guitarists many aspects of style and technique. Many of these films feature guest musicians at the very top of their field in the world of classical music including Duo Melis, John Mills, Maggie Cole and David Miller. In addition, David has his own record label, "Timespan Recordings".